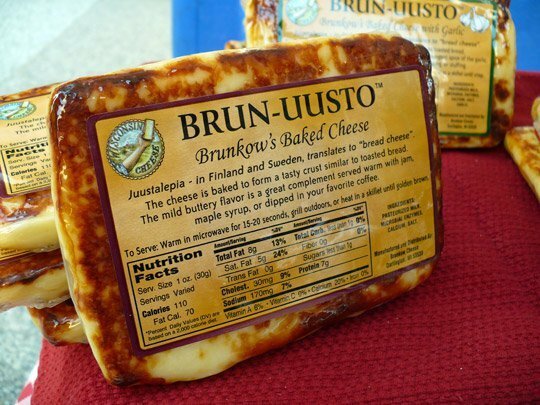 Brunkow’s Award Winning Original Brun-uusto “bread cheese” is baked to perfection. Serve this cheese warm to enjoy the soft, buttery flavor alongside your favorite savory crackers, artisan bread, dried fruits or olives. Add a little jam, maple syrup or even dip a piece into your coffee for an extra treat. 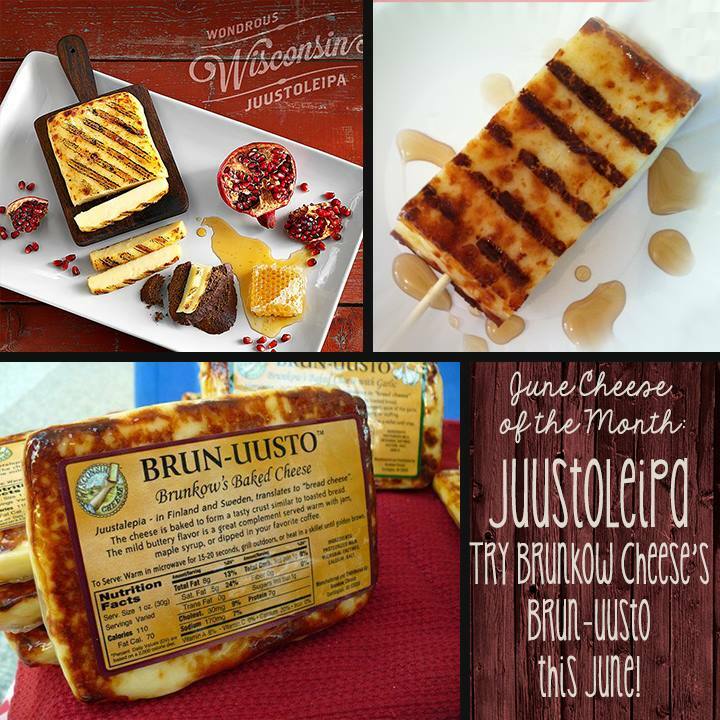 Our Brun-uusto Cheese pairs well with red wines such as: Zinfandel, Merlot or Cabernet Sauvignon. A few beer selections are IPAs and Pilsners. 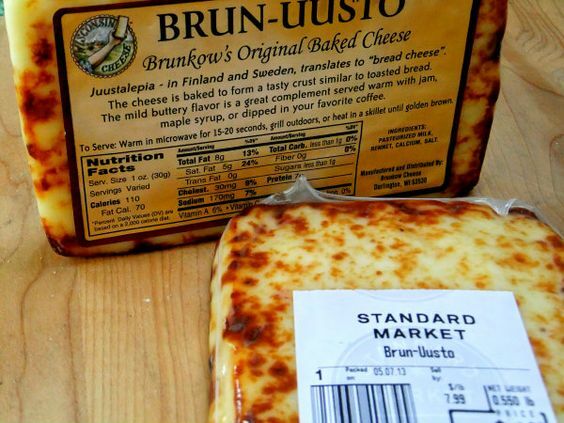 Juustoleipa – In Finland and Sweden, translates to “bread cheese”. 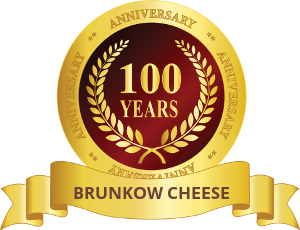 This cheese is baked to form a tasty crust similar to toasted bread. 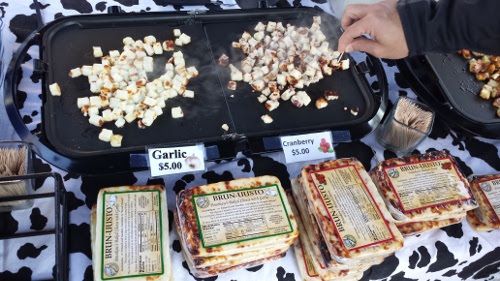 The rich buttery flavor is great accompanied by both sweet and savory delights alike. Try it served warm as an individual appetizer or dessert with your favorite accoutrements.